I’ll be brutally honest… Ever since my first Xmas here in 1985, I’ve always found that the festive end of the year season was best spent away from the glitz and glamour of the Riviera: having grown up in Britain, the blue skies, mild temperatures and ersatz festive atmosphere don’t really work for me. At this time of the year, I much prefer bitingly cold weather, grey skies, mince pies, proper decorations on Oxford Street, Christmas pudding with brandy sauce, Christmas crackers and the Queen’s Speech on TV – it’s lucky I don’t live in Australia! However, the Riviera does at least make an effort to get into the atmosphere and this year was no exception, despite some particularly mild weather, with an average of 15°C on the coastline this week. Place Massena in Nice hosts a large Christmas market with the now ubiquitous giant ferris wheel as does the harbour of Monaco, and the Casino Square in Monte-Carlo is always decorated in a grandiose fashion. 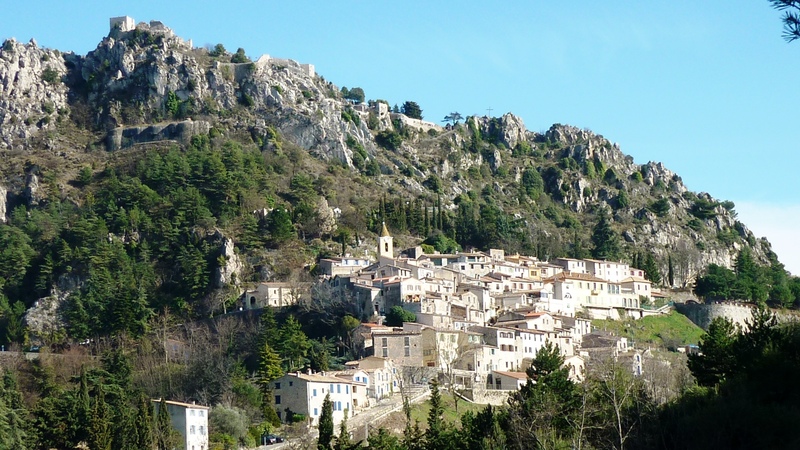 But if you happen to be in the area over Christmas and to really experience some true atmosphere, I would advise to go slightly off the beaten track and to pay a visit the small village of Lucéram, only 30 minutes drive north of Nice in the Paillon valley. I’d heard about this village since my hotel days but had never had the opportunity to go, which is why I decided to sacrifice the traditional Christmas morning lie-in and to head up there pretty early whilst the streets in Monaco were still deserted. 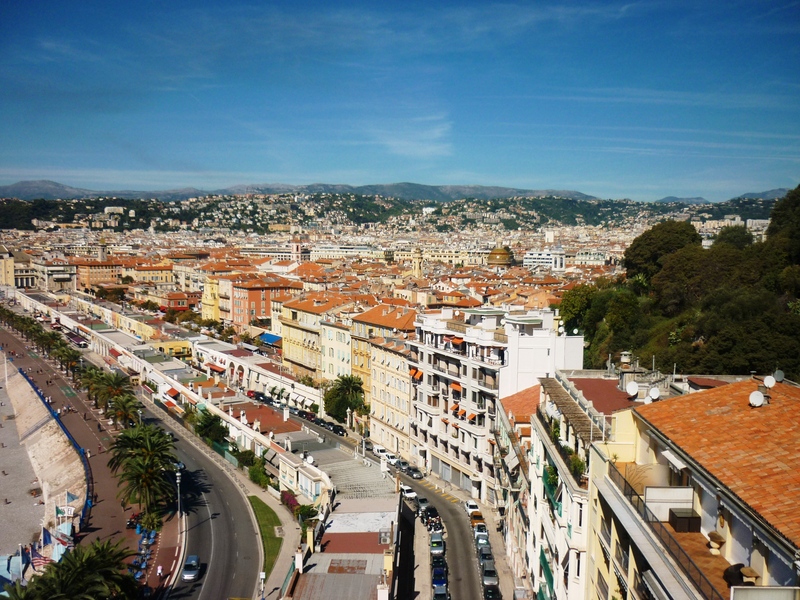 The countryside behind Nice is a world full of hidden treasures, especially for nature lovers: these include hiking trails, beautiful villages, mountain peaks, pristine streams, wild mountain animals and great restaurants full of natural products. 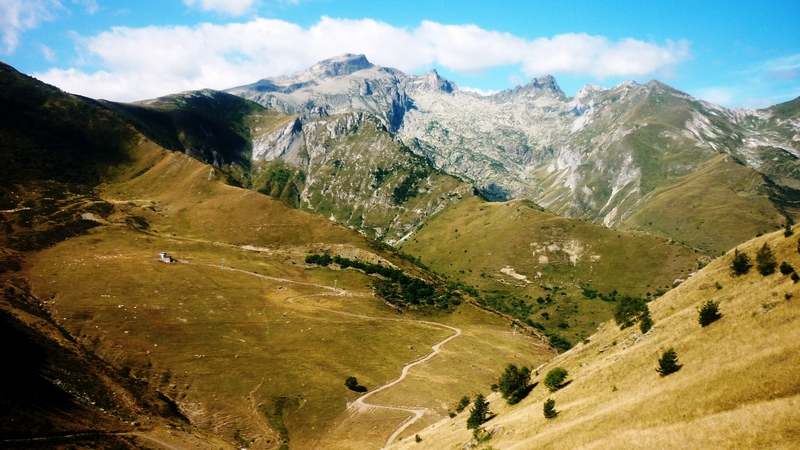 I recently decided to combine most of these on a day trip into the beautiful Vésubie valley, the main aim being to head to the Boréon lake to visit the Alpha Loup wolf park, where wild wolf packs are kept in their natural habitat at an altitude of 1500m. For the first individual restaurant review on the blog, what better choice than one of my favourites in Nice for traditional French cuisine, the Restaurant d’Angleterre. This small, family-run place is absolutely unbeatable in terms of value for money, quality of food and service and when I was running my hotel, just a few minutes away, this is where I sent my clients who asked for a good recommendation – none of them never came back disappointed. Located on rue d’Angleterre, close to avenue Jean Médecin and to the train station, behind Notre Dame Basilica, the neighbourhood is very uninspiring and rather grotty but don’t let that dissuade you. The entry-level menu of 16.50€ is already great value with three very filling courses that change every day. On a recent visit, this involved delicious salmon ravioli, followed by duck breast with mushroom and redcurrant sauce then a mango and strawberry pastry, there are in general 12 different dishes that you can choose from. 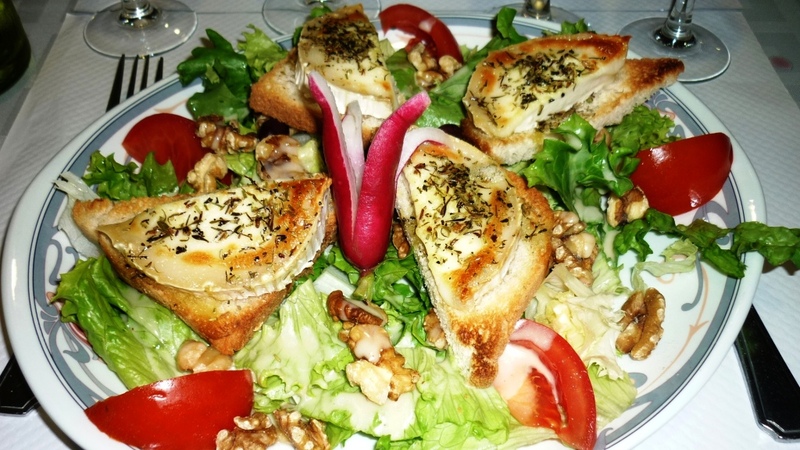 There are also some excellent menus at 26.50€ and 31€, including foie gras, south-western salads (involving plenty of duck) and other delicious French specialities. Naturally, all the classics, like steak tartare, are executed to perfection. 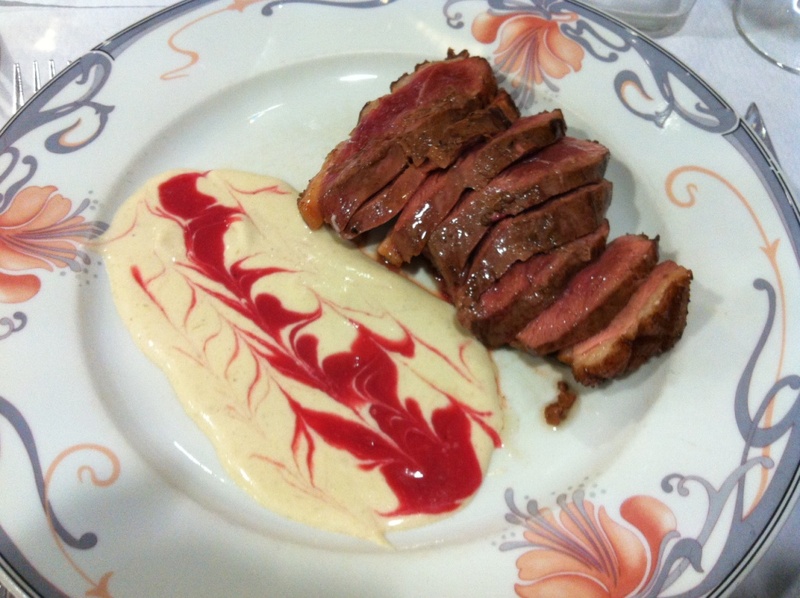 Main course duck breast done just right with mushroom and redcurrant sauce, part of the 16.50€ three-course menu, great flavour and unbeatable value! The decor is pretty unassuming but the place is full of locals and is run by a charming family: incidentally, the Tripadvisor reviews of the place don’t lie (apart from the person who was complaining that the portions were too big, which is true, but hardly something that warrants complaints). In any case, as I mentioned, one of the best addresses in Nice and strongly recommended so do not hesitate. 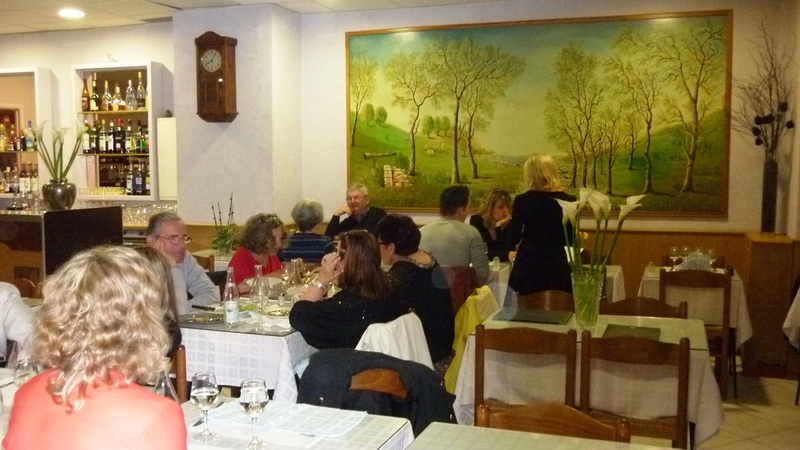 This restaurant ticks all the boxes for a quality meal on the Riviera: minimal investment in decor, family-run and full of locals, all recipes for a good address! 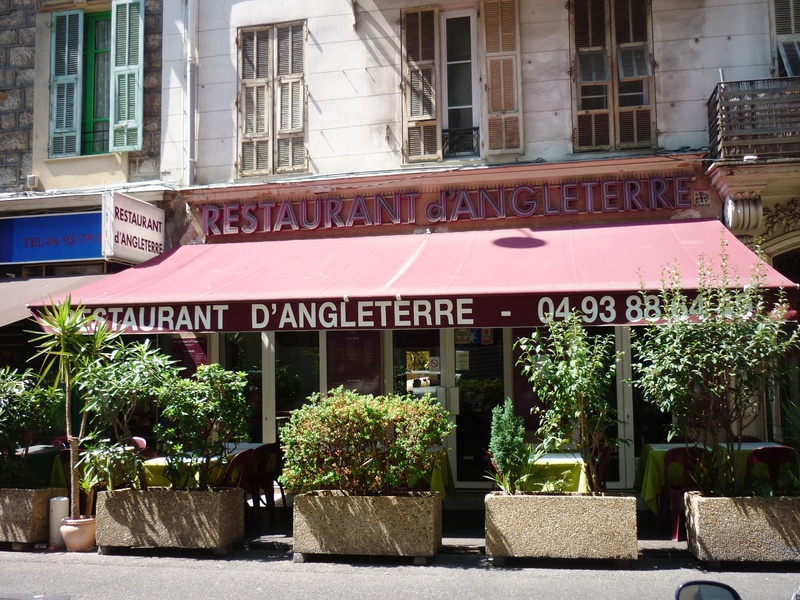 Restaurant d’Angleterre, 25 rue d’Angleterre, Nice, 0033 4 93 88 64 49. Closed on Sunday evenings and Mondays, annual holidays mid-November to mid-December. 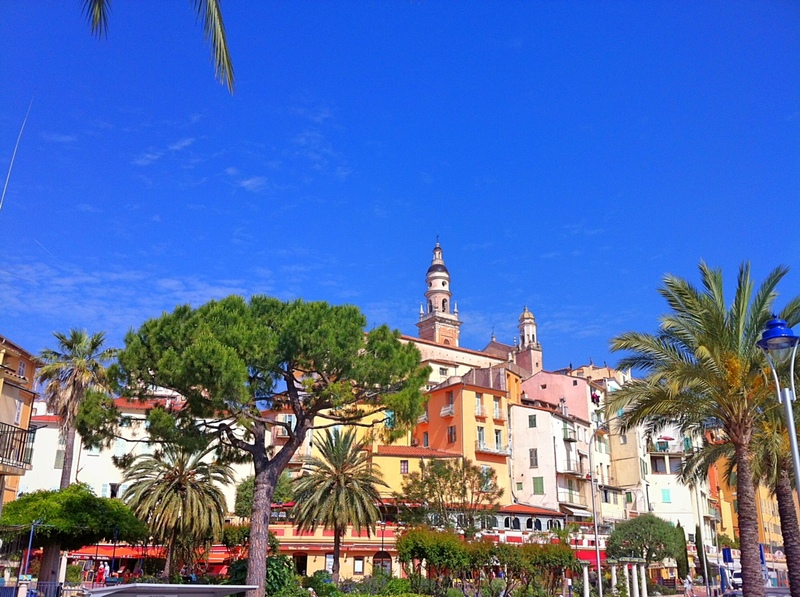 The further east you head along the coast of the Riviera towards Italy, the more spectacular the scenery becomes, especially once you hit the beautiful border town of Menton. 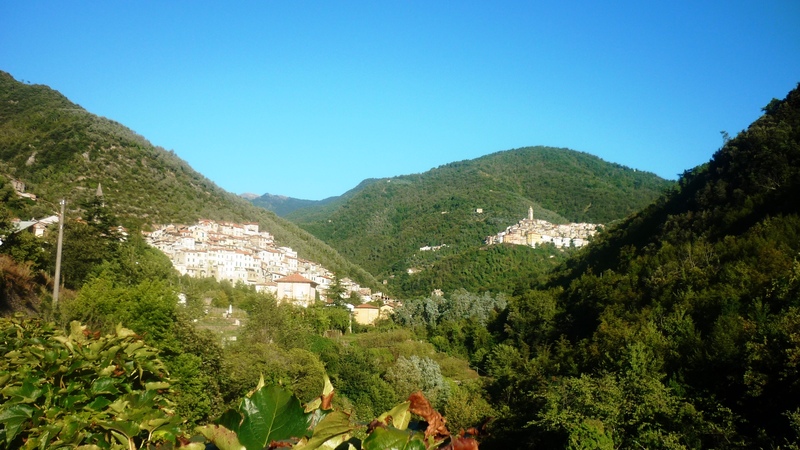 The mountains just blend in with the Mediterranean Sea and the hills behind the town contain some spectacular treasures, in particular the gorgeous medieval villages of Gorbia and Sainte Agnes. 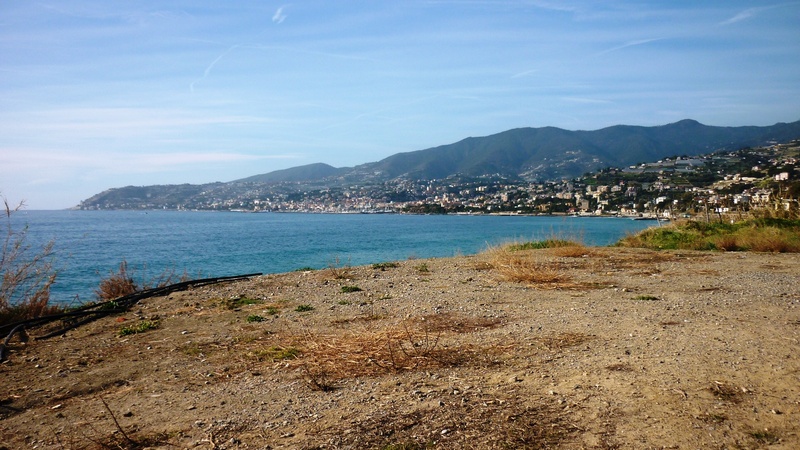 Both of these are easily accessible from Menton, Monaco or Nice but a car is more than advisable to enjoy the scenery with maximum freedom – and I’d definitely advise you to visit them in this order. Also, both villages are ideal to be visited all year round as they are rarely snowed in during the winter and they offer a cooler alternative to the coastline in the summer, although some restaurants may be shut out of season. 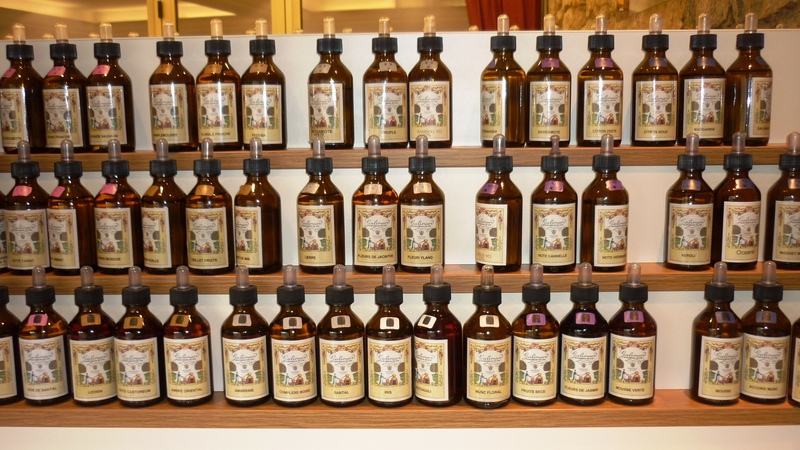 The Riviera’s world-famous perfume industry attracts visitors from all over the globe – I recently learned a lot more about it, thanks to a visit to the Parfumerie Galimard in Eze, here’s some of the information I gleaned. The perfume industry on the French Riviera dates from the 18th century, when Grasse, an inland town in the western part of the Alpes-Maritimes, became known as the perfume capital of the world. This was due to the splendid micro-climate that encouraged the culture of the flowers and aromatic plants like lavender and jasmine, among others, enabling the creation of top quality perfumes. Nowadays, the industry is still thriving, and is a great draw for visitors to the Riviera – for example, there are almost 14.000 hectares of aromatic plants in the region. 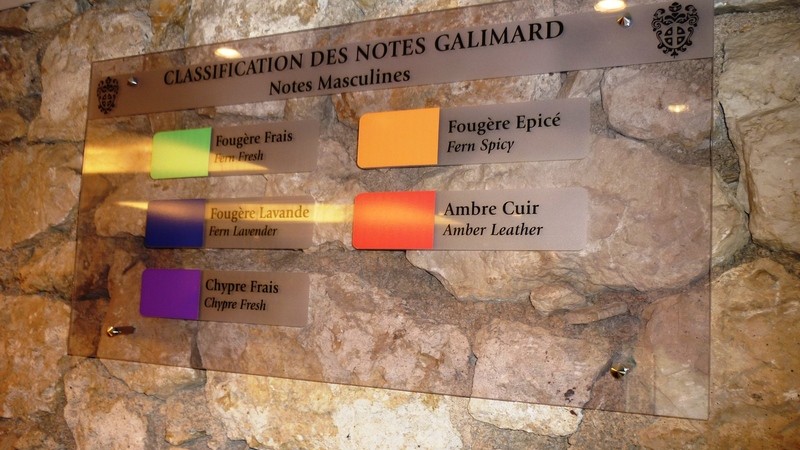 The main perfume producers, Galimard, Fragonard and Molinard, have large plants in Grasse which organise tours, giving the expression “smelling like a perfume factory” a new meaning when the tourists emerge from there! Another interesting and slightly more accessible centre for those based on the coastline and interested in perfume is Eze Village, already covered in a separate article. 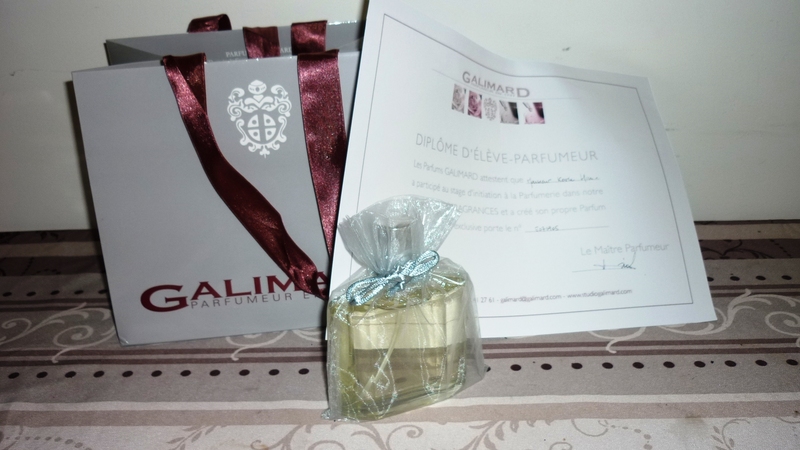 I recently had the opportunity to explore this first hand when I visited the Galimard perfumery in Eze and created my own perfume, whilst having all the different steps explained to me by one of the master-perfumers. I was brought to a room dedicated to the creation of perfumes and sat behind a desk with hundreds of small bottled full of extremely concentrated essential oils arranged in three rows. Each row corresponded to different notes: first, the base notes at the bottom, then the middle notes and finally the top notes, which provide the first impression when the fragrance is applied. After two hours of patiently sniffing and blending the various concoctions in three different steps thanks to the assistance of the master perfumer who guided my choices according to my preferences, I ended up being presented with my own nice-smelling personalised bottle of perfume and certificate. The final outcome after my 2 hours of hard work! So it’s a very instructive experience which I would heartily recommend to anyone interested in doing anything a bit different on the Riviera. The package I took was the “Blissful Initiation” package lasting just over two hours, book in advance at +33 4 93 41 10 70. 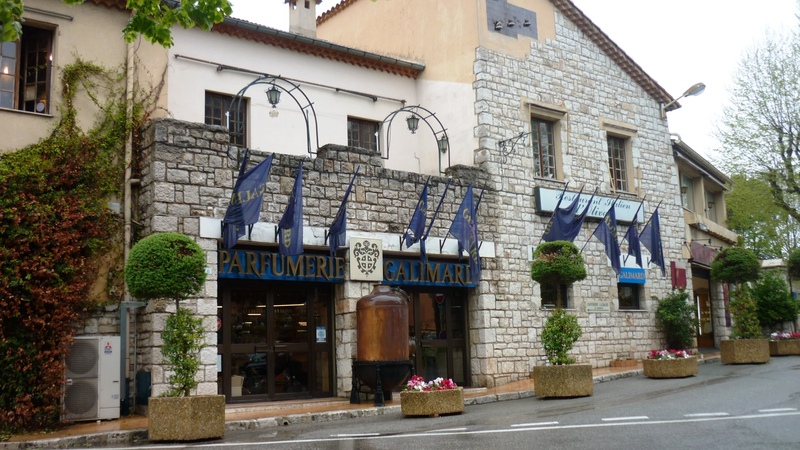 The Galimard perfumery is located at the foot of Eze Village, just across from the main car park. Free guided tours of the site are also available. The Old Town of Nice (or Vieux Nice as the locals call it) is one of the city’s main attractions and a must-see for any visitor… Not particularly because of a huge amount of unmissable historical sites, but because it is a hive of activity, buzzing both day and night, which is ideal to wander around, to get lost in and to get a drink or a good traditional meal whilst enjoying the unmistakable baroque Mediterranean vibe. So here’s a quick walking tour to make sure you don’t miss any of the nicest parts, even though I’d advise the most adventurous to just get lost in the meander of streets and follow your instincts to make the most of the place – after all, it’s too small to get really lost and the sea is never too far away! Last month I took advantage of a beautiful and sunny January weekend to head down the coast to the Italian town of San Remo to do something I hadn’t done in about 10 years: ride a bike! A friend had told me about the new cycling path along the coastline between San Remo and San Lorenzo al Mare, close to Imperia, the provincial capital, so I figured it would be a nice change from the normal hiking and would give me a bit of exercise, especially given that it’s pretty much flat all the way. The cycling trail is a nice way of converting the old railway track that ran along the coastline from San Remo to Imperia, and that was replaced about 15 years ago by the new underground railway line currently in use. 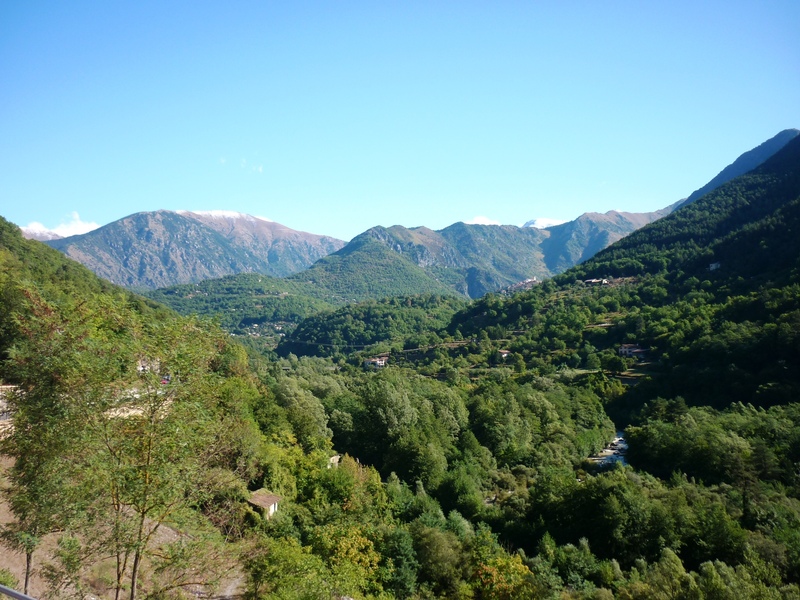 Instead of having it turned into a derelict strip full of debris and graffiti, the local government invested EU funds into turning into a very wide cycling trail, away from the traffic and affording great views of the little-known but scenic Ligurian coastline.